The year 2018 reached its end but we still have some updates. By the end of December our managing director René Schaap will, after running the Brazilian department for 14 years, return to the Netherlands. Off course Connecting Media will be represented in Brazil. All communication and productions will from now on be lead by our new managing director Roeland van der Manden. 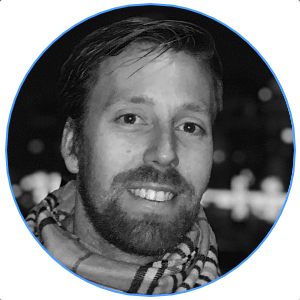 Roeland has much experience in the broadcast industry as EVS operator, video editor and director. We have already joint our forces since 2016 in Brazilian projects for Boskalis, Van Oord, the Dutch consulate in either São Paulo and Rio de Janeiro, facebook USA and Litmedia among others. We now have an up to date edit room in Rio de Janeiro as well as equipment and crew for web- and broadcasts in Brazil and South America. The last three months of 2018 have been dynamic for us with lots of nice productions. From 2019 on we start to offer new services and we start building edit room in Hilversum, the Netherlands. On behalf of the entire Connecting Media media team we wish you a healthy and happy 2019! Since the start of Connecting Media in 1999, we have been producing webcasts (internet livestreams) for events, TV broadcasters, the government and for companies. For almost twenty years, we provide broadcasts from small events to very large multi-camera productions at home and abroad. It started with a live concert by DJ Dano from the Tagrijn in Hilversum, streaming for ten hours from our small OB-van. This was followed by many projects for the broadcaster KRO/RKK, the Dutch Ministry of Economic and General Affairs in The Hague, Microsoft and Emerce/VNU, IDG. Sports events such as the Military Boekelo, the Fanny Blankers Koen Games, many races on the Zandvoort circuit, and even the 24 hours of Spa-Francorchamps and Zolder in Belgium. In the meantime, our office in Brazil was also working hard on good projects for museum MAM São Paulo, FGV University, and the Dutch Ministry of Foreign Affairs in São Paulo. In the last two years, the projects have only become more amazing. The General Electric #DroneWeek from Rio de Janeiro was even nominated for a Webby Award! And immediately after we completed the #Droneweek we celebrated the success with our customer until late at night as a technical team in Brazil with the five transmissions on Facebook Live. After a few hours of sleep, Roeland and René went 'fresh and fruity' to breakfast at a posh hotel in Ipanema with the future client. By that time we didn’t know that it was facebook USA. A good conversation and a week later the decision was made, we had a contract for a webcast production for Facebook USA during the Olympic Games in Rio de Janeiro. Than the madness started... we had about three weeks to organize everything. People, equipment, temporary import regulations in Brazil because of customs, airline tickets and we had to solve issues regarding a special insurance for American companies. Connecting Media has been running the livestreams every day for a month on Facebook Live for facebook USA from our three webcast studios in the Canada House, Great-Britain House and the NBC studio in Rio de Janeiro. The webcast studios were fully equipped and staffed by us and partner Amsterdam Productions on behalf of the American CIVIC Entertainment Group. Hundreds of live broadcasts and millions of viewers made this one of our biggest webcast projects ever! View the possibilities for webcasting on our website. nb: 18 to 21 May 2018 we are on request of Gomez Productions again at the largest free jazz festival in the Netherlands, Jazz in Duketown in Den Bosch. We provide the technology, production and live direction for a Facebook livestream and live signal on the LED screens at the main stage on the Parade. We are proud to tell you we had an amazing year again with great productions in video/postproduction, webcast and website development. By keeping hungry and innovative we managed to level up on all these type of productions and also see that they more and more overlapped each other. Exactly our specialty..... Crossmedia. Even with a economic crisis going on in Brazil we were able to get some nice new clients in Brazil, with already some new productions in the pipeline for 2018 makes us confident for our South America offices. In The Netherlands it was far more busy, with new clients in all our areas too. 2018 looks very promising for our European production office. Connecting Media will go on with the same passion and we keep doing our best to stay innovative and flexible with the best quality available. We'd love to work with you, let's go for an even better 2018! Happy christmas and a merry newyear! 2015…. For us, a year with new offices and edit-suites in The Netherlands and Brazil. Our web and app department was leveled up with new members in our crew. New investments in our future, our co-workers and partners worldwide and, of course, our clients. Next year, would love to have more collaborations with all of you. We will go on with the same passion, and will keep doing our best to stay innovative, flexible and help you with your goals of 2016. Let us know what your wishes are. It was again, an absolute pleasure working with you. For us it was an exciting year in all our activities. We hope it was a great year for you too! Connecting Media Netherlands has MOVED! After 8 years in our media-studio in Baarn, it is time for a new step. We're moving to media-town Hilversum. Our new address has everything to do with music and sound, with which it started at Connecting Media. We are already feeling at home. From this location can we serve our customers even better by a good accessibility and very fast internet, in a natural and quiet environment. Visit us for a cup of coffee to take look at our new media-studio.